GumLeaf 1200mm Colorbond Metal Corrugated Gutter Guard is supplied in 1.2 metre lengths making it simple and easy for DIY installation. With a 3D louvered design and made of strong BlueScope Colorbond steel material, GumLeaf Gutter Guard is durable. GumLeaf is machine folded to go under the first row of tiles making it the cleanest look you can get from a gutter guard. For corrugated roofs precision scalloping means that GumLeaf Gutter Guard nestles precisely into the contours of your corrugated roof. 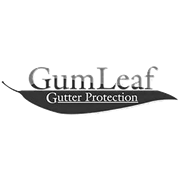 GumLeaf Gutter Guard also helps protect your home from bushfire ember attack and makes filling your water tank quicker and with cleaner water.